TORMAX was contracted to supply and automate two sets of traditional, wood-framed glass swing doors for the Grade 1 listed Birmingham Cathedral. 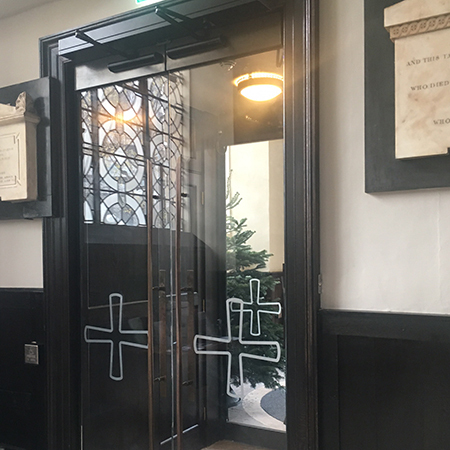 As part of a £500,000 interior refurbishment for the Cathedral, TORMAX supplied traditional wood-framed glass swing doors to provide DDA compliant access to the main lobby area. 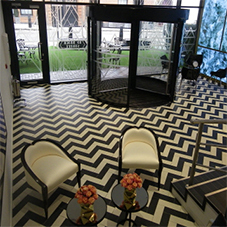 To maintain the architectural integrity of the building, the doors were powered by unobtrusive TORMAX 1201 operators. The 1201 operator was precision engineered at the TORMAX HQ in Switzerland and is more than capable of powering the doors installed at the Cathedral. Measuring only 85mm high by 128mm deep an incredibly compact operator, making it suited to heritage locations where architectural integrity is key. 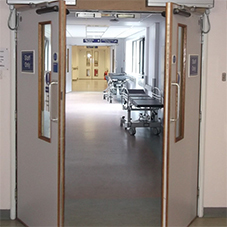 Levels of foot traffic vary greatly at the Cathedral and the door operators have in-built flexibility to match all situations whilst minimising energy consumption. The doors can be set for use in Power Assist mode, whereby users are aided in opening the door manually, Low Energy mode which limits power and speed and is useful for quieter times, as well as Full Power application. 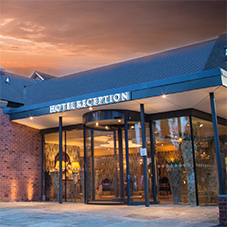 Contracted by Midland Conservation Ltd, the automatic swing doors, installed by TORMAX, feature glass panels etched with an ecclesiastical design to blend seamlessly with this historic interior.